1. Petitioner is a Cherokee Citizen. 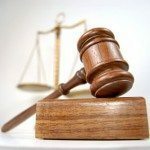 This action is properly brought before the Judicial Appeals Tribunal under the authority of 20 C.N.C.A. 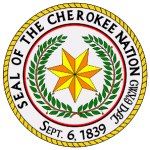 Section 51(A) as a “disagreement arising under any provision of the Constitution of the Cherokee Nation” and under the authority of 20 C.N.C.A. Section 51 (B) as a “Disagreement arising under any enactment of the Tribal Council of the Cherokee Nation.” Jurisdiction is proper before this honorable Court. A. Used outside the scope of proper purpose, or B. Used in violation of funding restrictions, or C. Used without having been properly budgeted, or D. Used without proper authorization, or E. Used in the absence of proper accounting methods, controls and constraints and that Defendant, Chief Executive Officer Joe Byrd, is or may be interfering with meaningful investigation of funding abuses. 4. Due to lack of a functioning independent office of the Tribal Prosecutor, the aforestated harms will result in lack of pubic perception of financial integrity of the Cherokee Nation and infringe upon the delivery of services to Petitioner and those who are similarly situated. Plaintiff and others will suffer irreparable harm if these matters are not investigated. WHEREFORE, Petitioner prays that the Court appoint an Independent Special Prosecutor for the purpose of investigating the concerns herein alleged and set forth, and that Petitioner be granted Declaratory Relief and such other relief as the Court deems proper under the circumstances. Dated this 25th day of February, 1998.